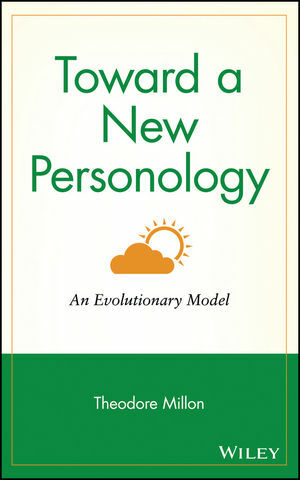 Offers an evolutionary theory of personality, connecting the conceptual structures of personology with its foundations in the natural sciences. The author presents a unified approach to personality theory, addresses personality disorders and considers therapeutic interventions. About the author Theodore Millon, PhD, is Professor of Psychology, University of Miami, and Professor in Psychiatry, Harvard Medical School. While Dr. Millon received his master's degree and doctorate in psychology (major areas: personality, social and clinical psychology), he has been and continues to be an avid student of physics and philosophy. Currently, he is engaged in a number of important research projects, including: the logic for integrating psychotherapeutic treatment techniques; studies of the psychological correlates of disease disposition and course; developing self-report inventories for psychiatric and medical patients; and investigations into the theoretical grounding of diagnostic taxonomies. A prolific author, Dr. Millon has written or edited more than 20 books and has contributed chapters and articles to numerous books and journals in the field. Among his most well-known books by Wiley are Disorders of Personality: DSM-III: Axis II and Personality and Its Disorders: A Biosocial Learning Approach. THEORY I: Evolutionary Foundations of Physical and BiologicalScience. THEORY II: Concordance of Evolutionary Polarities and PsychologicalScience. NOSOLOGY: Deriving a Classification for a PersonologicalScience. INSTRUMENTATION: Assessment of Personality Polarities, Domains, andDisorders.